Miles Davis’ “electric period” (1969—1992) is one of the most influential and passionately debated eras in all of modern music. In this exclusive new program, one of Davis’ crucial collaborators—bassist Marcus Miller—will take audiences through an eclectic body of work, starting with the moment Miles first discovered electric piano in 1969. Much like Gil Evans and Wayne Shorter before him, Miller played an essential role in shaping Davis’ musical visions. 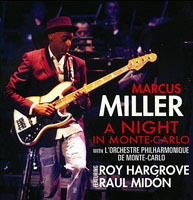 Not only did he play bass on six of Davis’ studio albums, Miller also produced and composed almost every song on three of them, including the Grammy Award-winning Tutu. 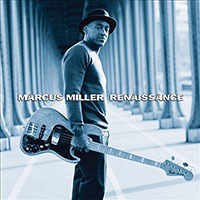 To this day, Miller is still the premier electric bassist, having recorded over 500 albums as a leader and with legends such as Michael Jackson, Herbie Hancock, Frank Sinatra, George Benson, McCoy Tyner, Aretha Franklin, and LL Cool J. 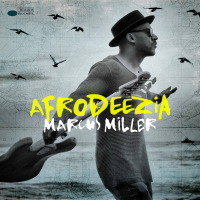 Throughout the show, Miller and his band will lead a wide-ranging exploration of Miles’ bold experiments with jazz, rock, funk, hip-hop, and electronic fusions that continue to resonate and inform music today. 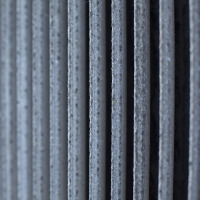 You will experience a selection of faithful arrangements and, as Davis would surely insist, brand new versions that further contemporize his boundary-defying material. This retrospective is no mere tribute; it is a passionate reengagement with ideas that changed the world of music, directed by one of the movement’s key players.